As mention in earlier post, anyone can translate any Open Source Physics simulation to your language. These are the steps to do that. 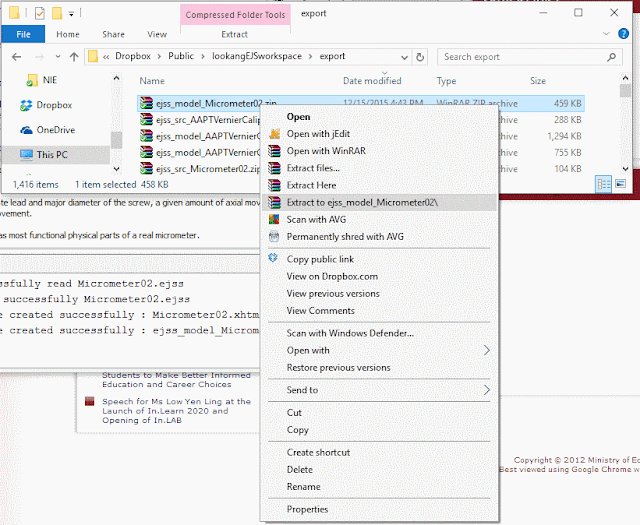 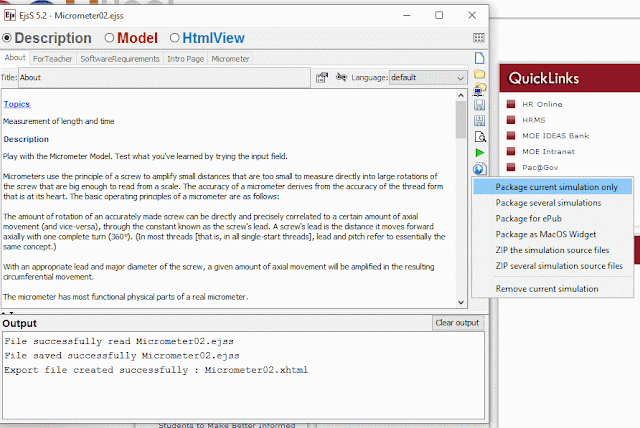 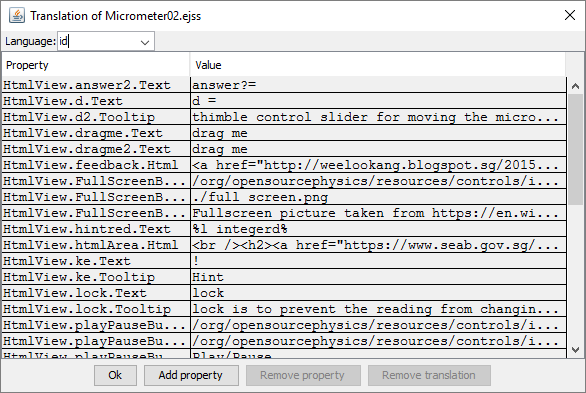 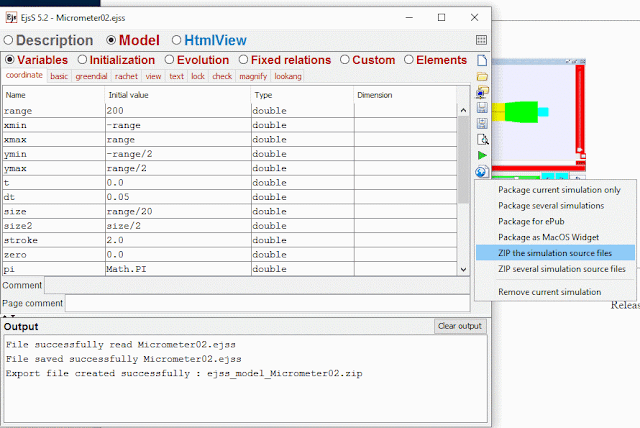 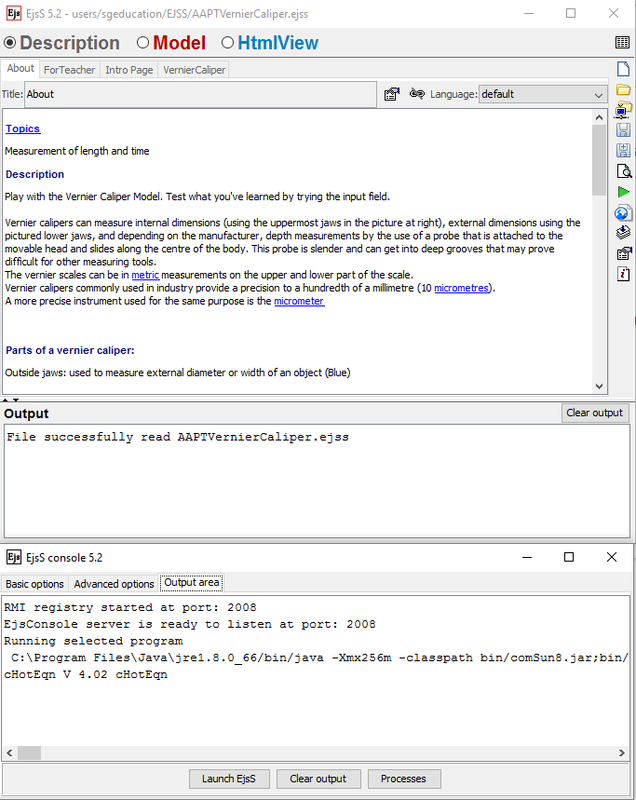 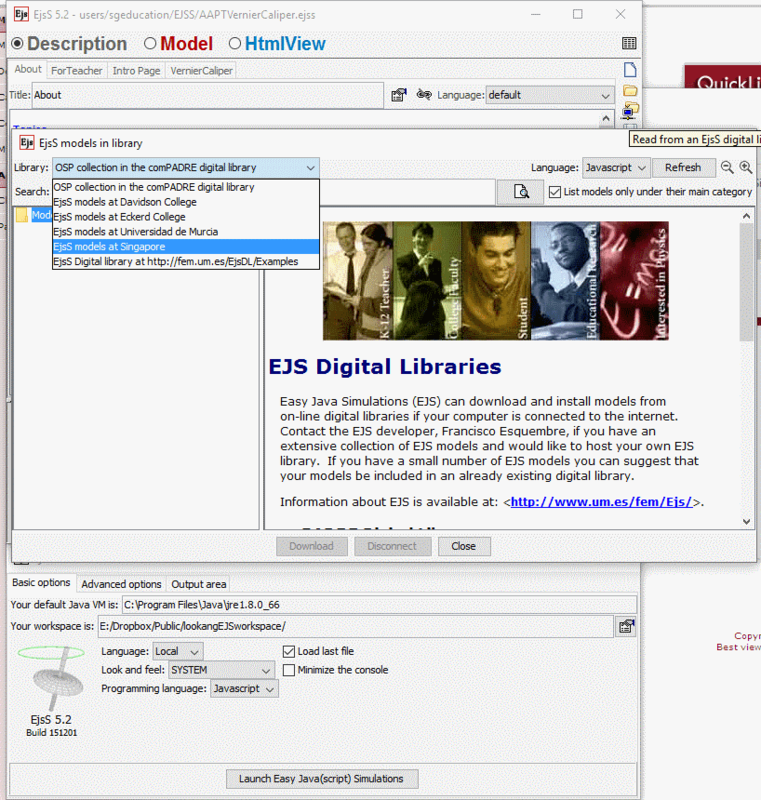 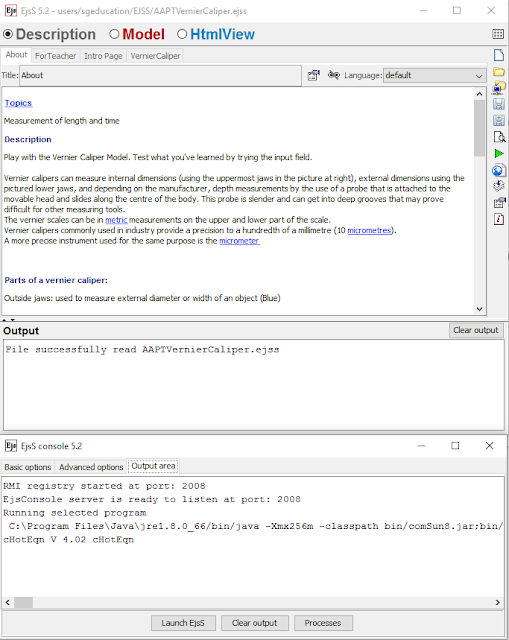 Download EJSS Easy JavsScript Simulation authoring toolkit from here. i recommend the latest version EjsS_5.2_151201.zip. 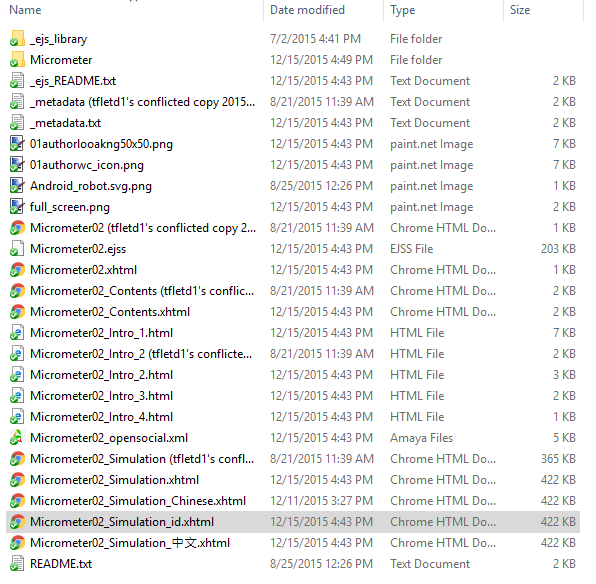 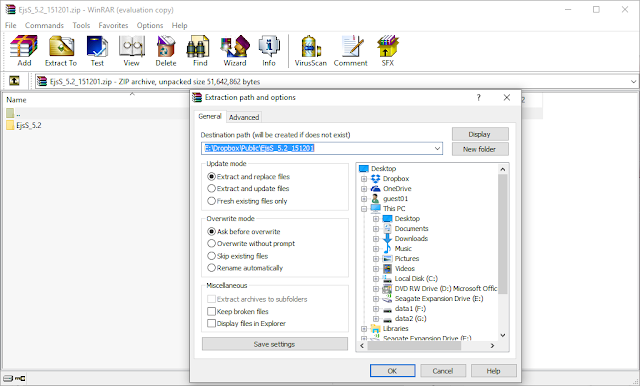 Saved the zip file into your computer. 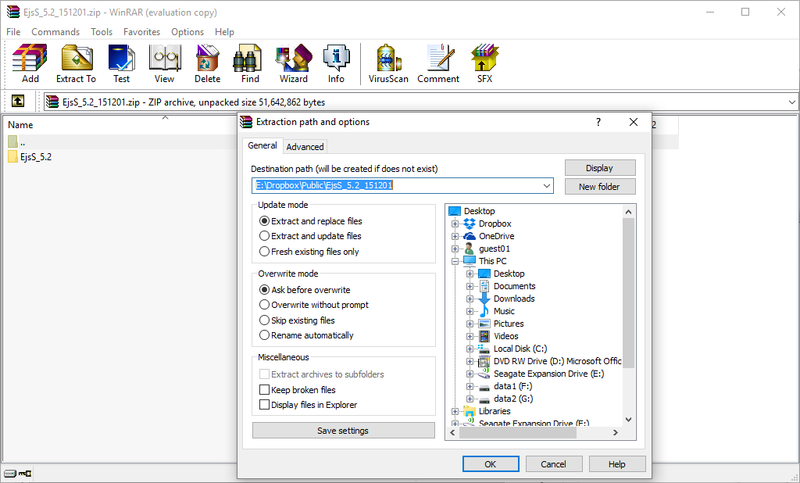 Unzip the file using any unzipping software like winrar or winzip into the default folder location. 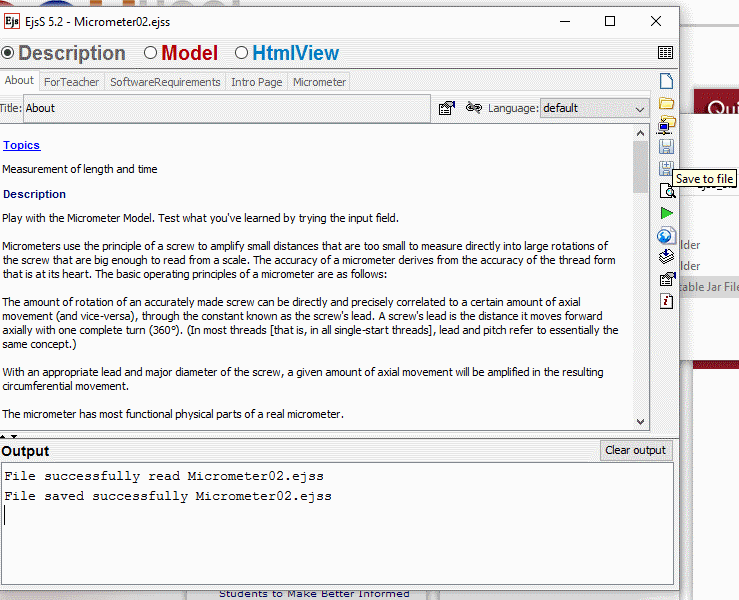 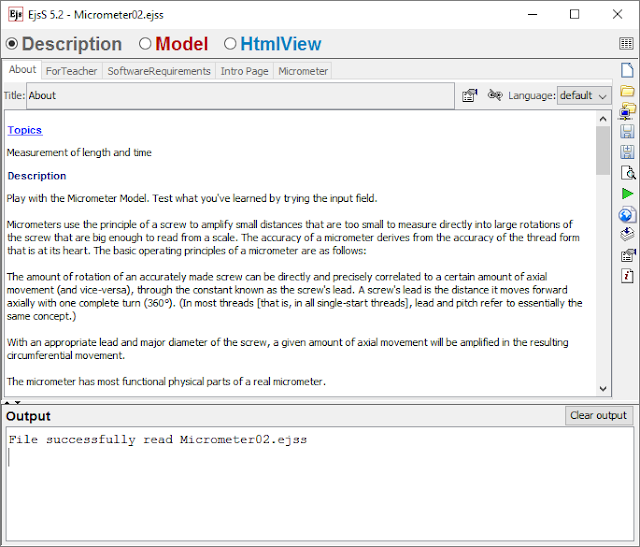 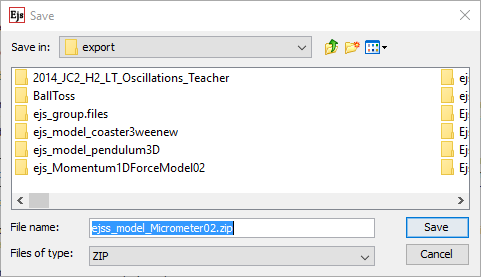 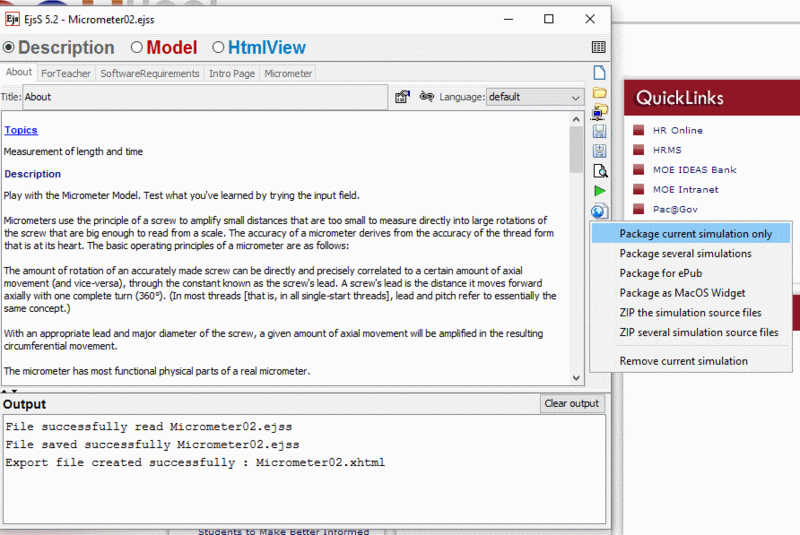 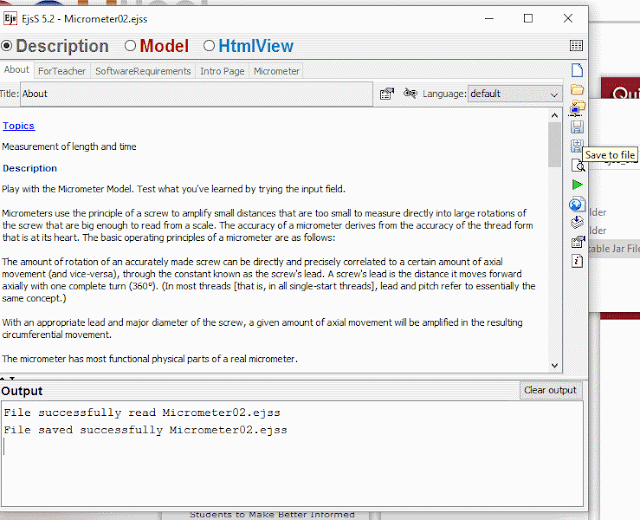 For example, you are interested to translate my Micrometer Model, it can be browse and found at 01_measurement Micrometer02 file. 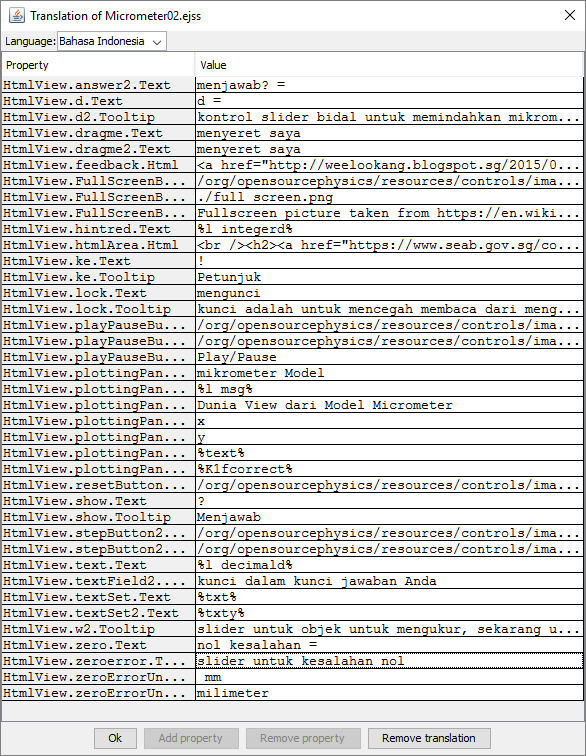 Click download or double click it to tell EJSS to read the source codes there. 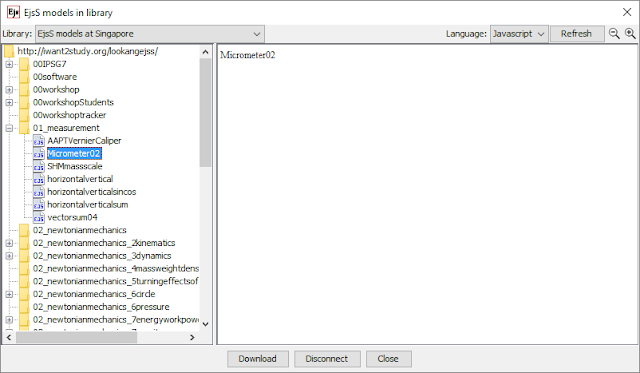 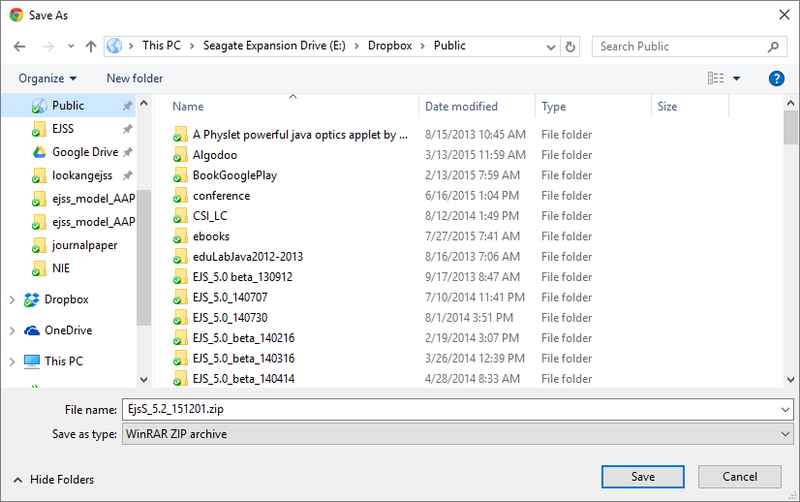 For beginners, just accept the default work-space and save the downloaded source codes into the work-space area. 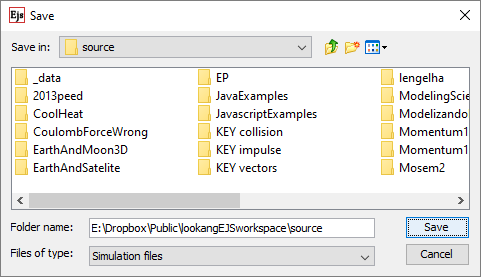 For experts, you may want to organise your files in source/users/sgeducation/lookang as default or other folders and names you want. 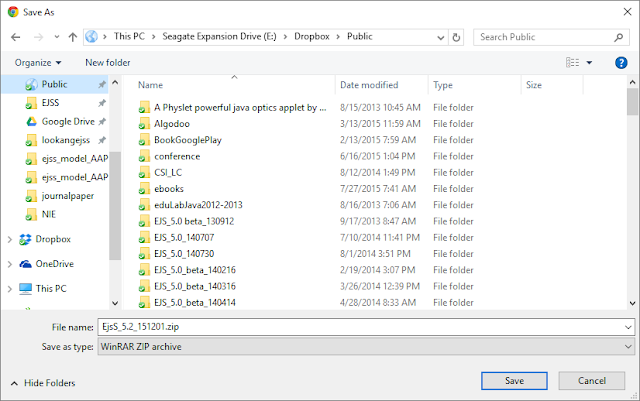 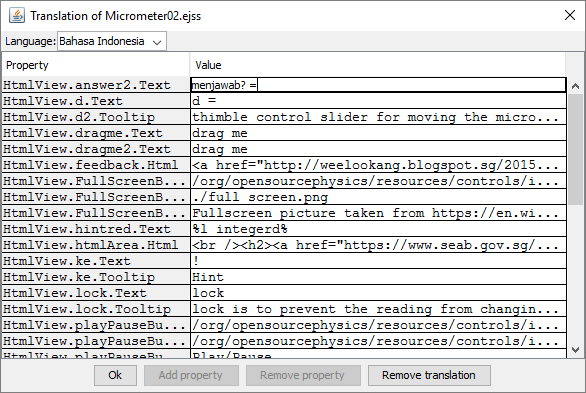 At this point, you should have the source files loaded in EJSS authoring tool, ready for translation! 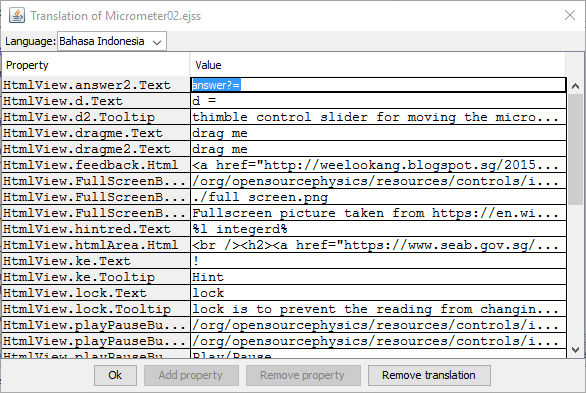 Click the translation icon (right bottom top 4th icon) and a panel will appear showing the texts strings for translation. 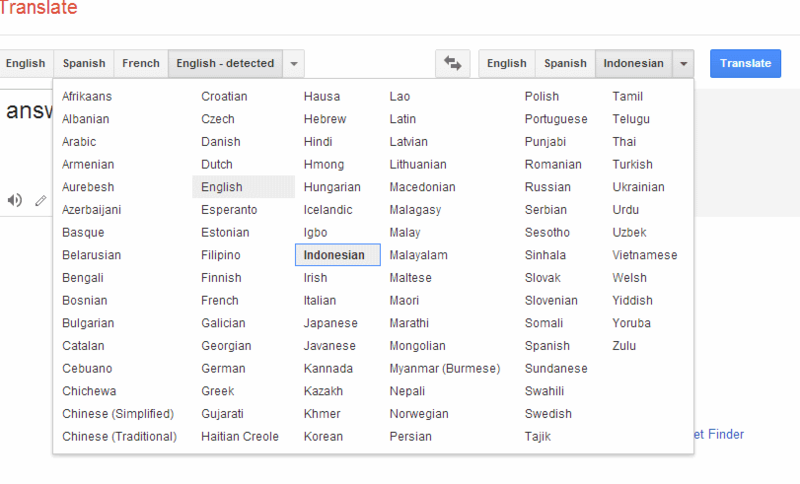 How to find your language code, visit http://www.loc.gov/standards/iso639-2/php/code_list.php and find your language, say if you are interested in Indonesia , the code is id. 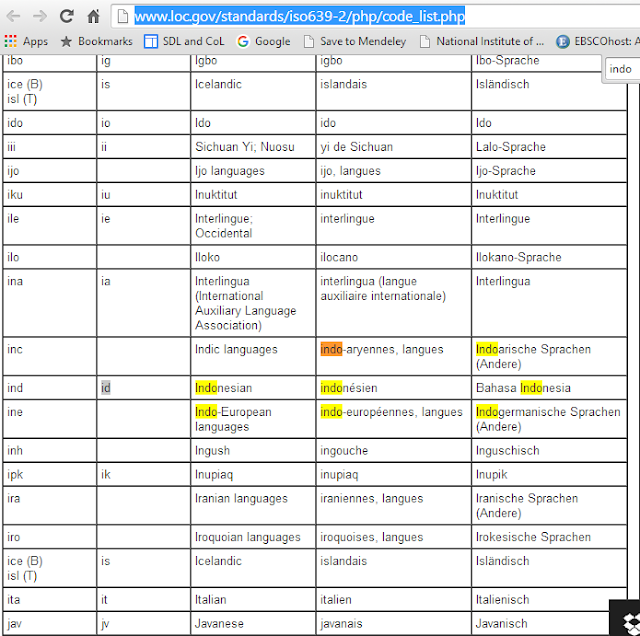 for Spainish is es. 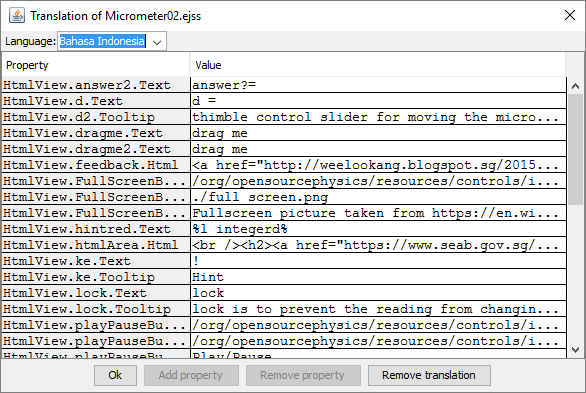 copy the text say "answer?="
Success! you have just successfully translated the first English string, repeat steps 15 to 19 for the rest of the strings.